As a gym owner, there are a lot of things to manage and be on top of. If your gym, like so many others, offers a group fitness curriculum, there can be additional frustrations. Maybe you’re offering a ton of great group classes… but no one is showing up. Perhaps you aren’t sure how to promote your group fitness classes. Education is power, so to help increase participation, make sure your members know about the following benefits of a group fitness class! Working out is one of those things that everyone knows is important, but few people actually get motivated enough to do it on a regular basis. When gym members sign up for a group fitness class, there is a feeling of accountability: they know that the other participants will realize if they skip. Therefore, there is a better chance they will make the effort to attend the classes. This is especially true once they have been going for awhile and have started to make friends within the class. "YOU'RE NOT ROWING FAST ENOUGH, CARL!" Unlike solo workouts, group fitness classes are normally led by engaging and energetic instructors. There is also uplifting music, a fun atmosphere, and a positive energy to the setting. These help motivate participants to want to show up and exercise to the best of their abilities. Participating in group fitness classes can push members to do more than they would on their own. When a segment of the class is challenging, there is less chance someone will quit because the energy of others in the class help push them along. One of the best things about group classes is they help people get out of their comfort zones and try things they might not otherwise. For those just beginning to work out, everything about a gym can seem intimidating. While hiring a personal trainer is one way to start learning the ropes, it can get pricey very quickly. Not everyone may be willing – or able – to invest in the cost of a personal trainer. My spine hurts just looking at this. Clearly I need to strengthen it...with group fitness! Group fitness classes, on the other hand, are often free with membership, or require only a small add-on fee for participation. They are also lead by certified instructors, who are qualified to answer participants’ questions about any moves, forms or exercises used in the class. They give step-by-step instructions and personal feedback. Not only will this help first-timers improve their personal fitness, learning new skills in group fitness classes will boost their confidence, so that when they do step onto the gym floor by themselves, they don’t feel like they’re in over their heads. 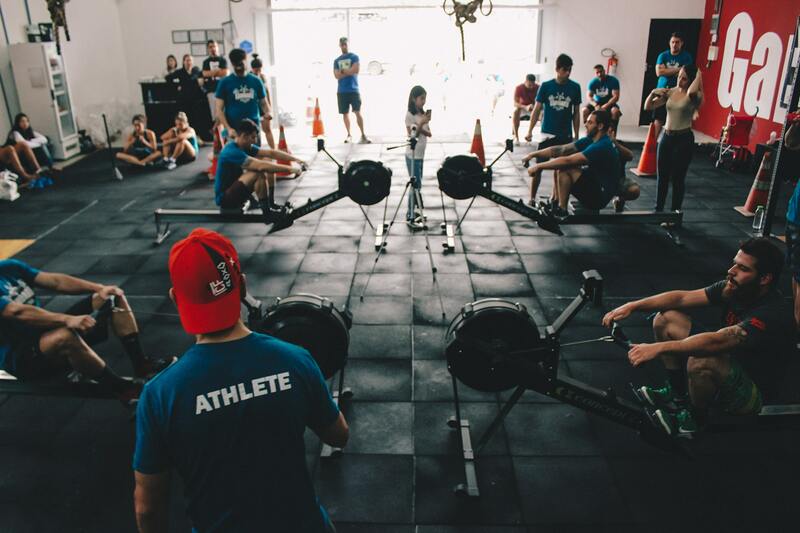 The best gyms know to offer group fitness classes with a ton of variety: one day members can try yoga, and the next sample other options like circuit training, spin class, Zumba, cardio boxing or kickboxing, or indoor rowing. Some gyms only have the capacity of offer one class, but that’s okay too! 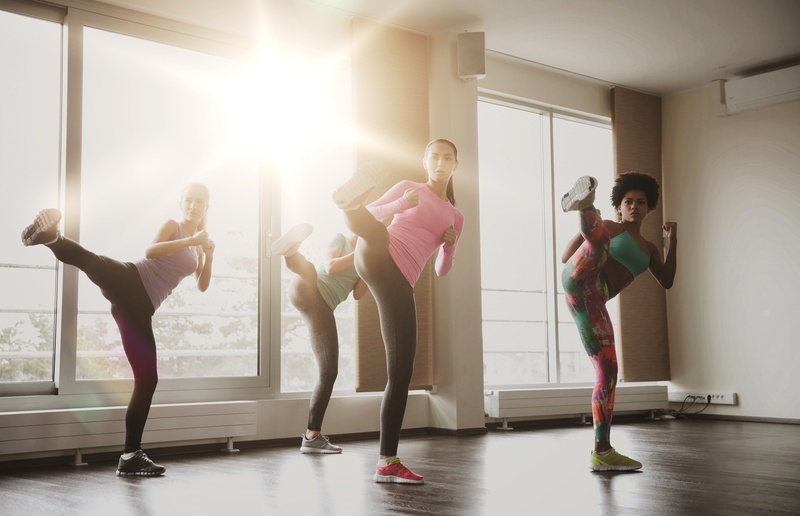 A class like cardio boxing or kickboxing, for example, can offer tons of different variations on a class-to-class basis (psst: using training bags as part of your cardio kickboxing class lets you work in much more variety than having students punch the air!). Cardio kickboxing is just one of the many fun group fitness classes out there! This one would be better if it had bags, though. This variety beats doing the same exercise every day in the same way. Plus, the human body needs variety in order to respond most efficiently. Doing the same thing all the time causes muscles and cardio fitness level to plateau. When you incorporate variety into your group fitness classes, your gym members’ muscles will ‘wake up’ and they’ll gain more in terms of endurance and strength. Joining group fitness classes allows your members to mix and mingle in a fitness-minded community. You might not think of your gym as a social hot spot, but it’s more of one that you might guess! 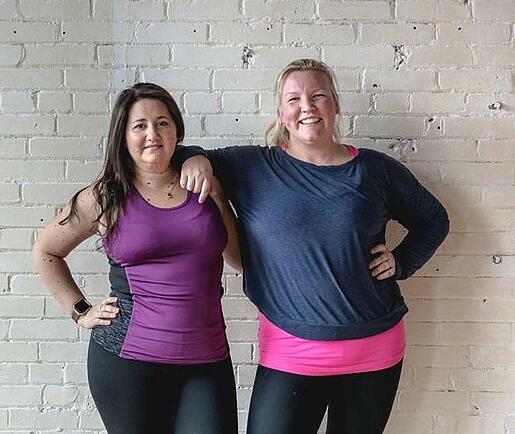 If you have gym members with busy schedules, or who are new to the area, or who have a tough time making new friends, the supportive environment of a group fitness class is the perfect place! They’ll spend time with those who share the same interests, sweat through challenges together, and build relationships – maybe even ones that extend outside of the gym! "Working out with my BFF Jill!" Being in this community also helps them stay on track with their fitness goals. Even if a certain gym member doesn’t feel confident in confiding in the instructor, he or she will certainly be able to turn to their fellow class members for advice on fitness struggles! Being surrounded by others who share similar goals, and are on the same path for a healthier lifestyle, will also help encourage them. When you educate your members about the benefits of group fitness classes, you will see participation increase tremendously. Other ways you can ensure continued involvement is to offer a wide variety of choices, hire motivating and energetic instructors, and to provide incentives for joining the classes. Everyone benefits when members are motivated and excited to be involved in the gym community. Are you a gym owner seeking exciting, innovative ways to help your members get healthy? Find out how Century can help you bring cardio boxing, cardio kickboxing, and other awesome group fitness programs to your gym – including how you can save on equipment!